Over the past decade, companies have been using unconventional drilling technology to extract gas and liquid from the readily available shale formations in North America. As the industry gains experience, the production rates continue to rise based on better use of technology to locate resources and to decrease the time from exploration to production. The use of technology is allowing operators to manage their drilling teams more efficiently, helping to drive down their investment in each well. This rapid build-up of both gas and liquid wells has resulted in an abundance of natural gas, driving the price of natural gas in North America to an all-time low. With the abundant supply and favourable reserve estimates, the global market is driving many companies to develop projects for the export of LNG from North America. The slate of proposed and potential export terminals includes grassroots land based projects, floating facilities and the addition of liquefaction processes to existing gasification operations. These LNG liquefaction projects are being justified on a perceived market pricing gap and continued overseas demand. If all of the projects currently announced are implemented, with an estimated cost for each plant between US $ 4–8 billion, a conservative projected total of US$ 56 billion could be spent from 2013 to 2020 on LNG liquefaction infrastructure. Initial business partners who have announced LNG terminal projects continue to develop relationships for supply and delivery contracts, as well as financing for these projects. At the same time, they are required to begin the permitting process, which does not appear to have an established timeline under the current US energy policy. This permitting process has a direct connection to partner commitments and financing required to move forward with a project. To add to the overall feasibility and risk assessments, the actual global market needs to be considered. Several studies have recently been issued to somehow document all the variables associated with exporting LNG from North America. These studies and reports do not always align and highlight the potential challenges of competing with existing LNG export facilities in the Middle East and Africa, with more capacity coming on in Australia. These documents also consider the ramifications of introducing additional capacity between 2014 and 2020 based on current conditions and what may happen to current LNG pricing. As these LNG projects beg in to develop, owners will have their hands full with many decisions. Added to this long list of considerations is a rat her small and often overlooked, but very crucial component of these multi-billion dollar liquefaction processes. This crucial component is the automation partner. While it is a relatively small initial financial impact, it can significantly help get an operation into production. Delivery contracts require on-time startup and targeted production levels, making the integration of automation not only a requirement to liquefy natural gas, but a necessity to do so in a safe, timely and dependable manner. When selecting a partner, it must be recognised that the project is just the beginning. To successfully deliver on long-term contracts, the owner will need a reliable partner they can count on for the entire lifecycle of the facility. Today, owners can find global companies that have experience not only in LNG, but engineering, technology, safety and lifecycle support. This experience will also bring with it an understanding of the different automation requirements in liquefaction, carriers, gasification and terminals. When it comes to execution, a proven method to reduce the risk associated with an automation partner is to look for companies that also have successful main automation contractor (MAC) or main instrument vendor (MIV) experience. Engaging a partner with these capabilities will help manage risk and lower the overall cost associated with the project. The MAC project execution method first introduced in the early 1990s for offshore platform development has been successfully used to reduce the implementation timeline, minimise human error and prevent re-work. 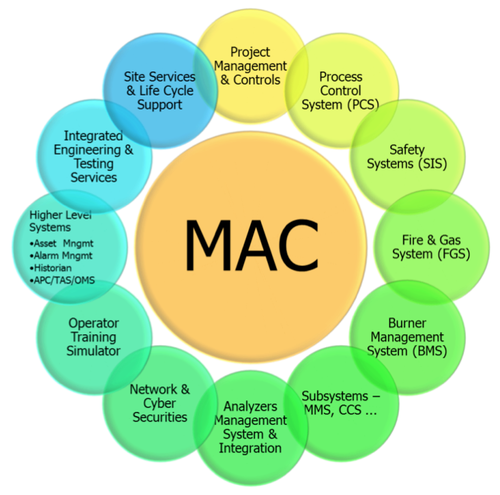 With the MAC approach, the automation partner is brought in early in the planning and definition phase to support the study and pre-design activities. By doing so, the knowledge of the design process is transferred, alignment of the automation with the overall project objectives is completed, and the partner's LNG experience is integrated with the EPC design. This process also enables awareness in identifying areas for improvement in the design and operability, with the goal of improving the owner's or partner's ROI. The MA C approach keeps the automation partner engaged throughout the implementation phase and into the long-term operational phase. LNG projects will transition from the planning and definition phase to the implementation phase, which encompasses the design, build/purchase, inspection/tuning and construction/start-up activities. Since the MAC project approach included the partner early in the planning process, owners can expect team ownership from FEED through commissioning. Some of the benefits in this stage include elimination of a bid cycle, re-evaluation, re-design of FEED, reduced team size and a reduced schedule. Other side benefits of maintaining the same team members who are aligned with the overall project objectives are cost reductions associated with mobilisation, improved interface with the EPC, integrated automation procurement, improved constructability and one total integrated factory acceptance testing (FAT). The fact that it is not necessary to staff, de-staff and re-staff also maintains the learning curve of members on the team, increasing their productivity. During this phase of the project is where an early investment in the use of the MAC process starts to show its benefits in the risk/cost trend. 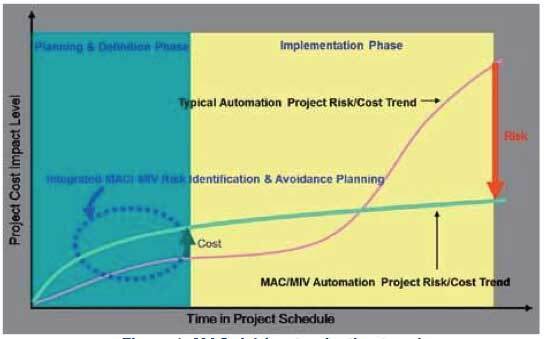 The typical automation project risk/cost trend will start to accelerate, potentially creating cash flow issues for the project management. Along with the MAC/MIV methodology, specific engineering tools and procedures have been developed by companies to enhance this process. Offered with these tools and procedures is a level of standardisation combined with an open and interoperable environment, allowing for best in class technology utilisation. Global engineering standards and procedures, based on proven project experience, increase the flexibility of the owner and EPC wherever they choose to execute the project. These standards include specifications for components, such as process controls systems, ESD and F&G, console design, HMI, and alarming, to name a few. Activities will also be included in the standards. Some of these standards include fundamental work breakdowns per activity, including descriptions, objectives, detailed steps to execute, required input and delivered output. More specific engineering tools will include plant knowledge libraries that contain standardized configurations for LNG applications in liquefaction, gasification, carriers and terminal automation. These should be a part of the functional design specification and documentation available from experienced LNG automation partners. These plant knowledge libraries are compiled through professional experience and records from projects executed over many years in the LNG industry. The plant libraries will cover all process facilities for a plant type and allow for development of the plant master logic. 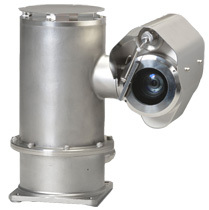 They help provide high quality optimum control from basic design, improve engineering efficiency with fewer man-hours, and reduce project schedules. The library contents may include elements such as process models, graphics, I/O lists, functional specifications, drawings, logic diagrams, and cause and effects tables. Finding an automation partner with proven engineering and execution experience is an important part of the selection criteria. Whether it is C3MR, DMR, SMR or Cascade chosen for the project, one should expect the deliverables provided by an automation partner to be capable of working with all of the process technologies available today. Other important elements included in the deliverables are awareness of technology, safety and lifecycle support. These will be integrated with the engineering as part of the implementation and hardware deliverables provided by the automation partner working side-by-side with the EPC. The outcome from all the planning, design and engineering built into the MAC process will provide an equipment list that becomes the automation architecture. The automation in an LNG plant stretches across the entire facility, ranging from the inlet facility, gas treatment, acid gas removal, dehydration refrigeration preparation, boi-off gas, LNG storage, loading and of course liquefaction. The same system also needs to be integrated into the business to take complete advantage of its capabilities. 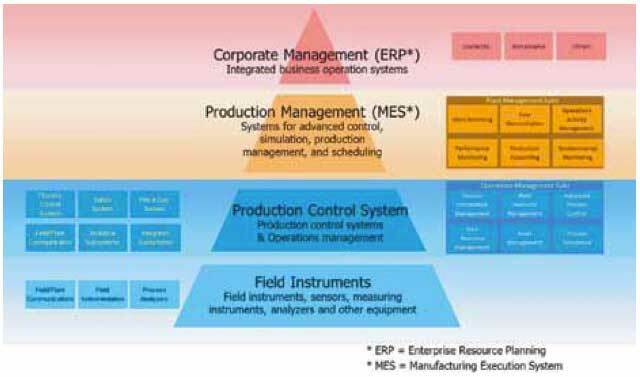 The technology platforms most commonly employed by an automation partner to handle multiple trains are a distributed control system (DCS); safety system (SIS); emergency shutdown system (ESD); fire and gas system (F&G); smart field instruments; advanced analytic al packages; electrical control systems; CCTV; UPS systems; valves; vibration monitoring; asset management; leak detection; advanced process control (APC); sequence of events recorder (SER); operator training simulator (OTS); information management systems and potentially more depending on their role as the MAC. These systems and packages are seamlessly integrated for implementation into the project. They provide the solutions platform from field sensing, production control, production management and on to corporate management. As part of any successful business strategy today, safety has become a top priority in all areas of a business's operations. This is true of the automation partner as well, from safe working practices to actual implementation of safety related systems to fulfill the functional safety management strategy for an LNG project. An automation partner should be capable of supporting the development of hazard and risk analysis, overall safety requirements, safety requirement allocation and implementation of the safety related systems. The process involves following specific steps outlined by standards such as IEC61508, using integrated safety controllers as a hardware platform, and implementing it to specific commissioning and validation specifications. the safety controller performing the safety inputs and outputs must meet certain SIL ratings defined by hazard and risk analysis. Certification of these platforms is often provided by organisations such as TÜV Rhineland. These ratings and certifications are best met with ultra-high reliability systems using multiple processors and hot-swappable I/O modules wit h advanced diagnostics capability. Automation companies have also developed technology all owing safety data communication from the safety controllers over a common control network to communicate with their process control systems. This provides the plant with isolated safety control where needed, but also makes this data available for viewing on the process display. This once required two different interfaces and displays, complicating the work load for operators during critical events. A well implemented highly reliable system platform brings with it increased plant availability and greater opportunity for sustainable profitability. Beyond the implementation of safety control, another helpful automation deliverable being used by LNG operators today is the operator training simulator (OTS). 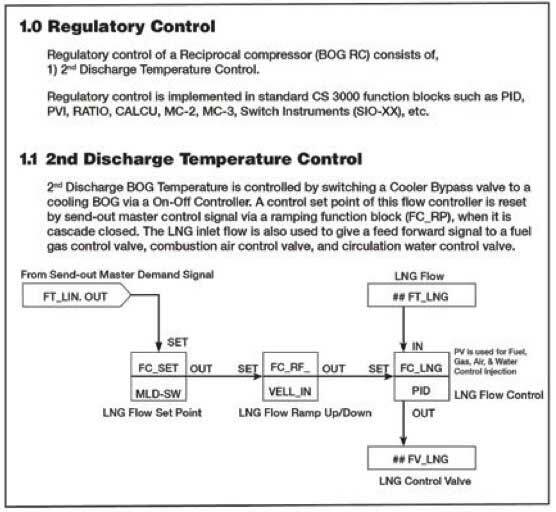 The OTS provides a dynamic simulator for LNG processes that can be used in various ways. 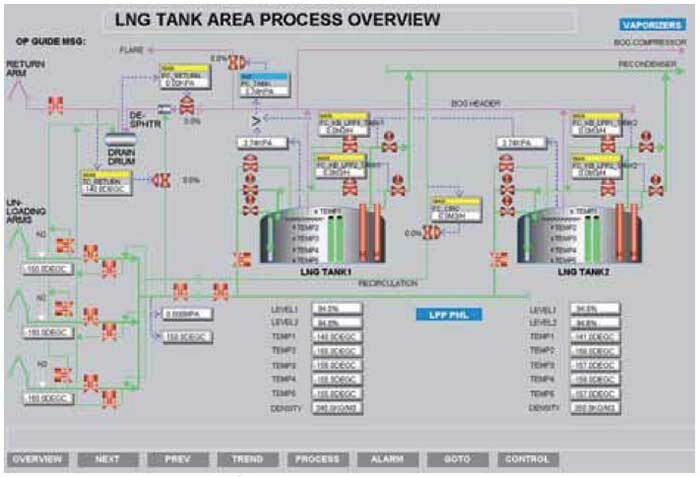 By working with an automation partner that has plant libraries, it becomes easy to develop plant master logic that can be used to provide a complete virtual process of the LNG operations in an online training simulator. 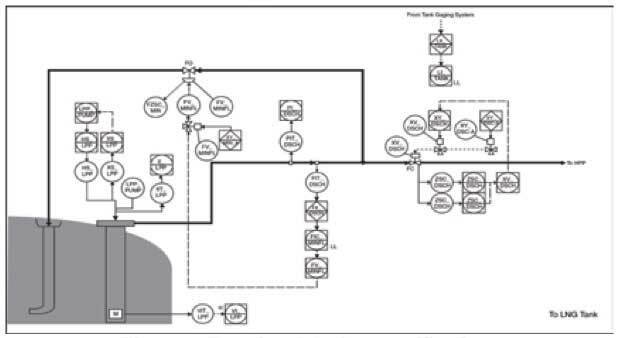 This simulator combines the process unit modeling with the control logic and allows for unit management or critical situations to be loaded as training scenarios. Potential benefits of using a dynamic simulator are the realisation of stable and robust production, operator training tool based on processes and a sustainable method to reduce the knowledge gap as operators change over time. The thoroughly trained operators and a well-engineered automation platform also provide more confidence to operate at maximum capacity. This takes full advantage of the assets capabilities. The information presented in this brief article is not intended to be a specific roadmap but rather to stimulate dialogue regarding the selection of an automation partner and potential project execution methodology. Regardless of which met hod is chosen, it should always include the operation phase. A MAC method logy includes the planning and definition, implementation and operation phase. The operations phase is really a way to sustain the large investment associated with LNG liquefaction process. A truly experienced MAC provider will discuss the entire lifecycle roadmap from feasibility to decommissioning or migration, so every aspect is considered prior to commitment. When spending US$ 4–8 billion to develop an asset expected to produce for years to come, it makes sense to engage potential automation partners with an open mind, and expect them to be a member of your team for the next 15–20 years.